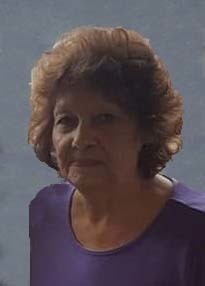 Linda Sue Simonek, 73, of Mineola, TX passed away on Sunday, December 17, 2017, in Tyler, TX. She was born on Tuesday, August 8,1944, in Dallas, TX to the late Roy and Betty Jane Zigler. She was a kind and loving mother that cherished her kids. Ms. Simonek is preceded in death by her husband, Eddie Simonek. She is survived by two sons, Tracy Tucker of Mineola and Richard Tucker of MO; two daughters, Kimberly Harrison and husband Robert of Katy, TX, Teresa Rountree and husband David of Mineola, TX; brother, Billy Beverly and wife Janet of Justin, TX; sisters Marlene Morris of Mineola, TX and Lucy Black of Athens, TX; six grandchildren, Justin Harrison and Megan of Cypress, TX, Cody Tucker and Cristen of Mineola, TX, Melissa Tucker of Mineola, TX, Allison Mckinley of Arlington, TX, Thomas Rountree of Mineola, TX, Preston Rountree and Brittany Warren of Mineola, TX; several nieces and nephews. Visitation is scheduled for Wednesday, December 20, 2017 from 2:00 pm to 3:00 pm at Beaty Funeral Home, Mineola. Funeral Service will follow visitation at 3:00 PM officiated by Bro. Ben Steen. To send flowers to the family of Linda Sue Simonek (Zigler), please visit our Heartfelt Sympathies Store.